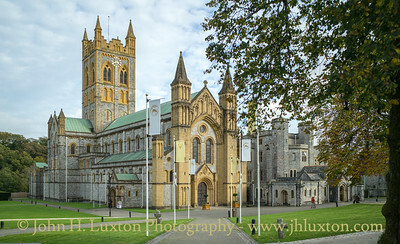 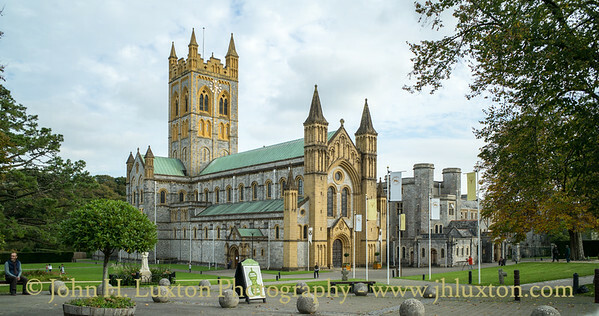 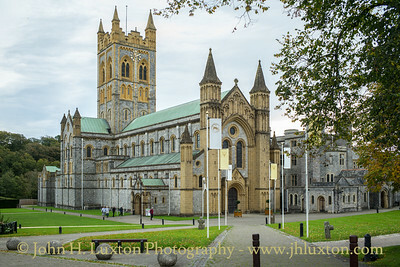 Buckfast Abbey showing the flags marking the Abbey's Milennium. 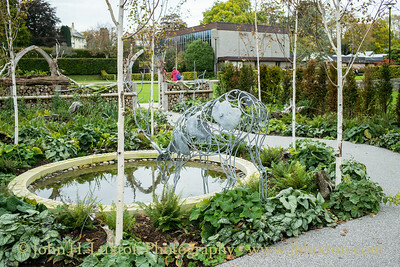 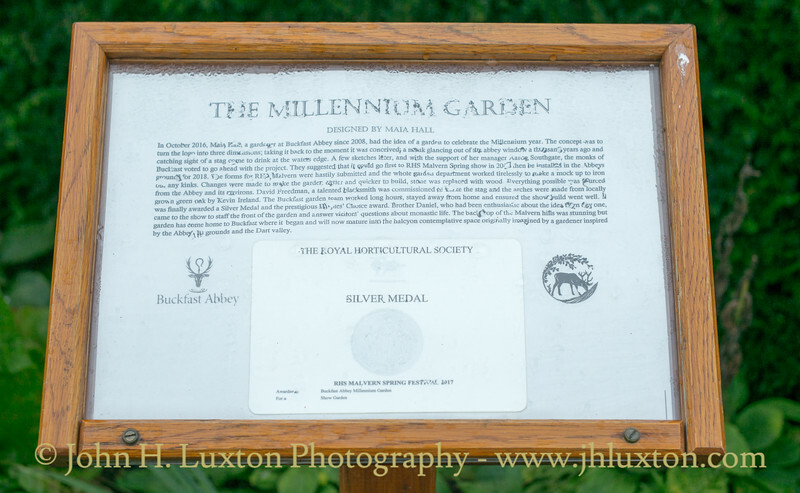 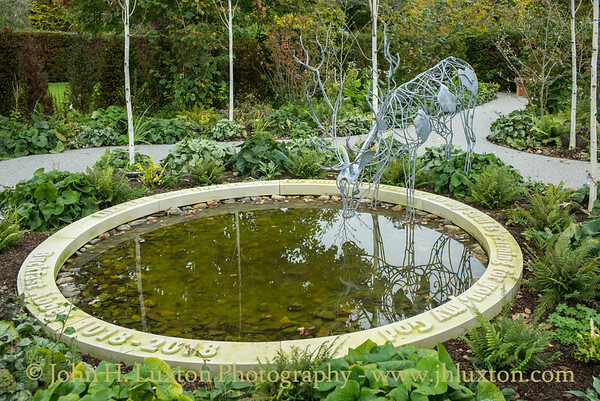 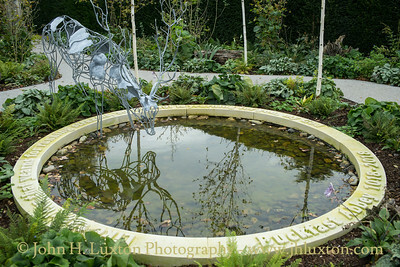 The Millennium Garden was designed by Maia Hall and supported by Abbey Head Gardener Aaron Southgate, to represent the view looking out from the monastery window, catching site of the magnificent stag through the silver birches. 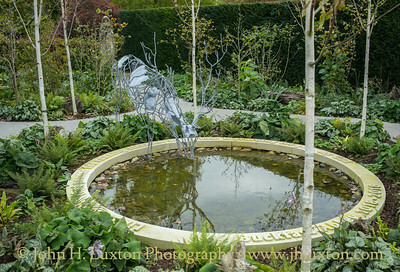 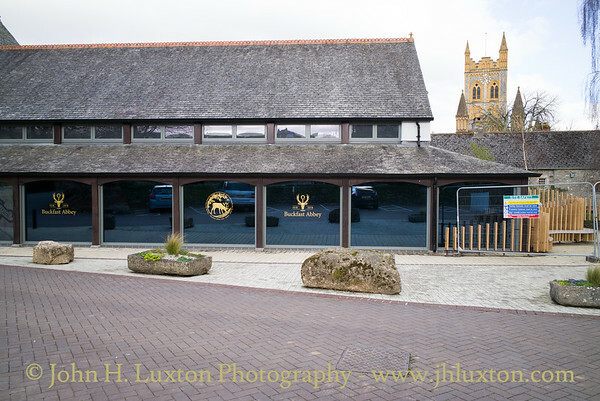 Featuring a central arched window framing the stag drinking from the pool - a representation of the Abbey’s logo. 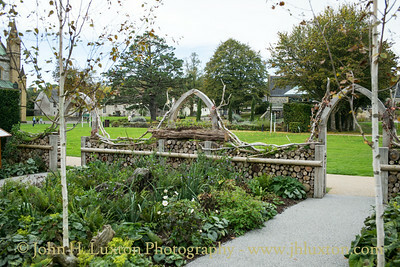 Naturalistic planting, sculptural stumps and the use of logs to create a rustic wall all reflect the lifecycle in the adjacent woodlands. 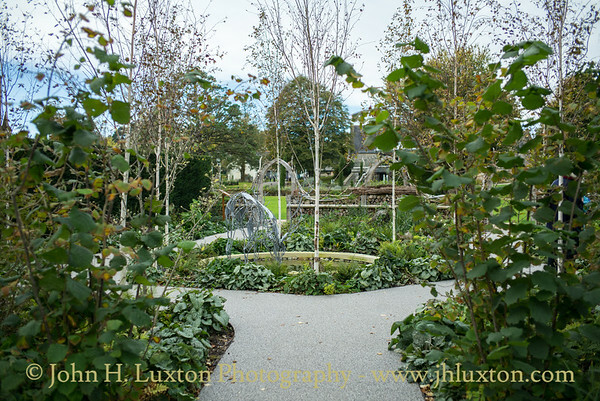 The balance of life and death, creativity and growth are all represented by the interweaving of planting and deadwood structures. 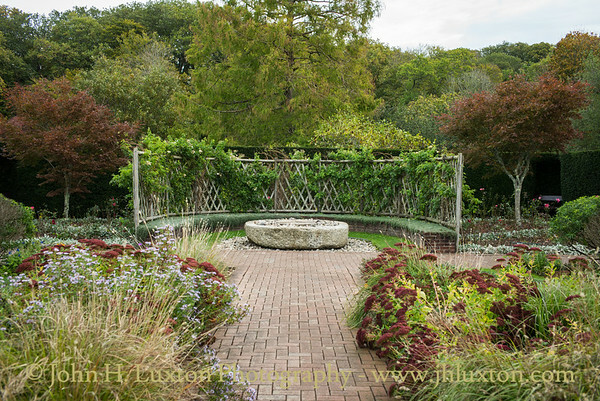 This is accentuated by the sinuous deadwood branches used to cap the log wall. 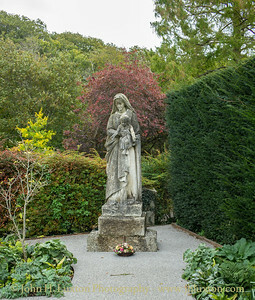 The aim of the garden is to show how the formality and beauty of religion live in harmony with the beautiful valley the monks have chosen to inhabit. 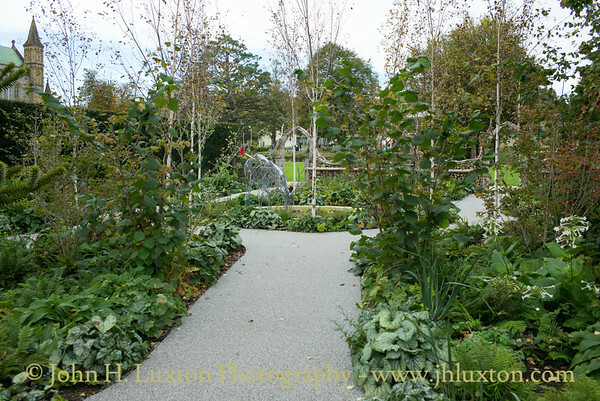 The meandering silvery pathway is reminiscent of a river bed or holy walk. 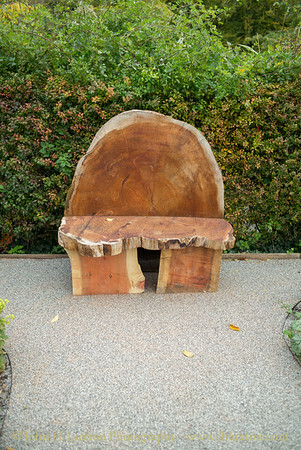 The log seating is for quiet reflection, meditation and prayer. 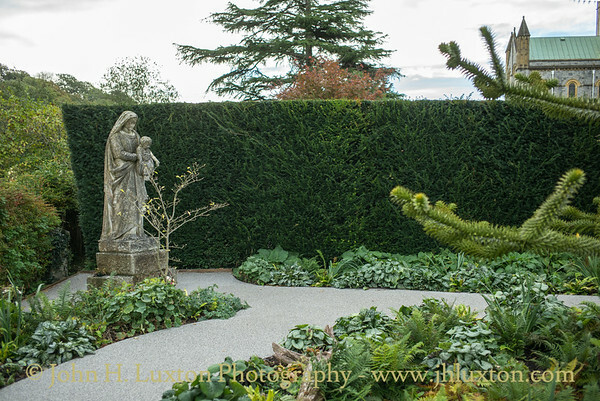 Clipped hornbeam hedges define the garden space. 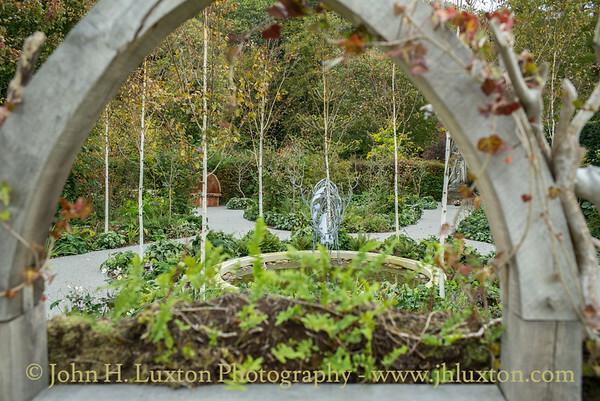 Our colour scheme is strictly green and white with touches of blue to enhance the tranquil ambience. 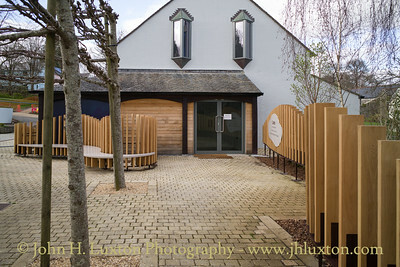 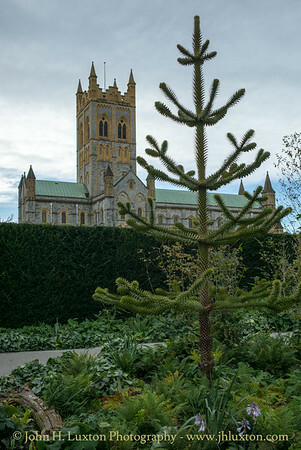 The Buckfast Abbey Millennium Garden is about balance, space, peacefulness, rejuvenation and authenticity. 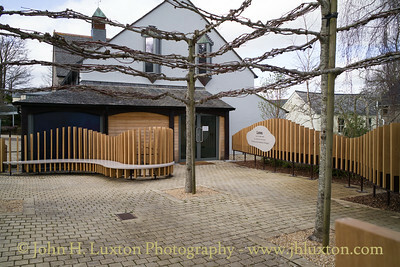 The millennium exhibition building nears completion after conversion from the gift shop. 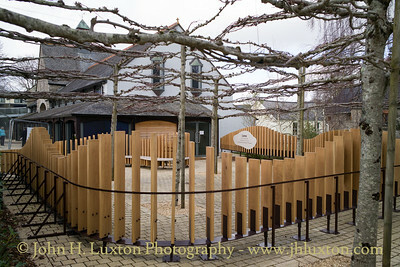 Entrance to the Millennium Exhibition shortly before it was opened.